Scouting Report: Kepnang is a huge (6-10, with a 7-5 wingspan) post player with a lot of upside. He's extremely aggressive, trying to block everything and rebounding at both ends. He has a developing offensive game but is a strong finisher at the rim and flashes occasional post moves. Right now, his biggest assets are his defensive dominance and willingness to outwork everyone on the floor. We have a number of other offers to MacDuffie players in 2019 and 2020 already, so this is a HS program we're working hard. Most of them also play for the PSA Cardinals, and AAU program we work extremely hard, and which produced Hasahn French. Love that we're working this East Coast connection, and offering a guy like this with a high-ceiling early. PSA and NEPSAC consistently put out top quality players. Is this Macon's territory? Yes, Macon is the one with the NYC/Northeast connections. Will Bailey was at La Salle for six years, so he presumably also has some NE knowledge, but Macon is the lead guy up there. When are we getting the 2022 thread going. I have another name to add to Larry Hughes Jr.. Luther Burden's kid Luther Burden Jr. might turn out be the best guard in the area in that class. He supposedly was the best all around guard this past weekend in the u14 competition at Swish 'n Dish. He is playing for the u14 Beagles. Well, the 2021 thread was started in early October, so I was expecting roughly the same time frame. 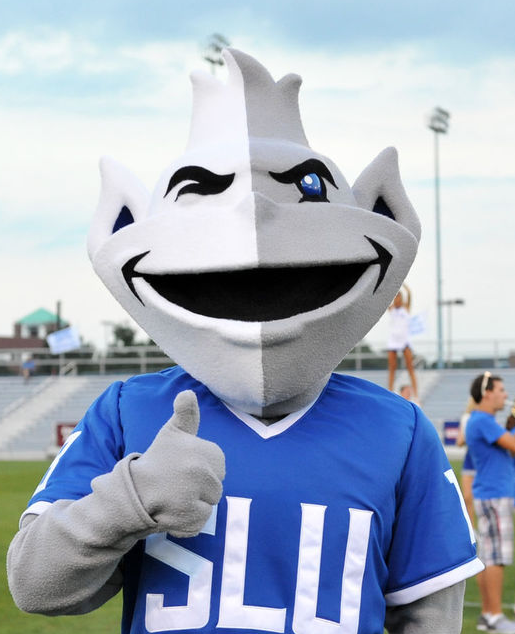 Do we know if SLU is actively recruiting any incoming freshmen yet? I can start it whenever, but as you can see in this one, they can lie dormant for quite a while. I don't know if they are actively recruiting Hughes or Burden at this point. Did anyone else see that Zion Harmon joined BBE for this weekends session in Indy? Yeah. Big pickup. Played 17u last year as an 8th grader. Interest: Minnesota, Nebraska, Stanford, Colorado State, Air Force, Drake, Milwaukee, North Dakota, South Dakota. Scouting Report: Brown is a long, skilled player who can play and guard a few different positions. He has a smooth, controlled game. He's got great passing skills, can hit shots from the perimeter, and run the point. His older brother Courtney is a 2019 D-I prospect, so he's been playing against bigger and older kids his whole life. Their dad, Courtney, played at Southwest Minnesota State before spending several years with the Harlem Globetrotters. -I like Brown a lot. He's got such a smooth, low-key style that he fools you into thinking he's not playing that hard, and then he makes a big play. He's similar to Shaun Livingston, a guy with great length and a smooth, natural game who can run the point or play on the wing. Ton of upside here. He runs with Howard Pulley for AAU ball, and we've suddenly offered a few of their guys. Offers: SLU, Fordham, Seton Hall, Providence, St. John's, Wake Forest, Illinois, Maryland, Manhattan. Scouting Report: Griffin is a strong, talented guard with the ability to score on all three levels. He's explosive getting to the basket, moves extremely well without the ball to get open, and gives himself and his teammates easy buckets due to his energy. He rebounds his position very well and handles the ball well. Griffin is the son of former Seton Hall and NBA player Adrian Griffin, and his older brother Alan Griffin had a SLU offer and will be playing at Illinois. -We offered Griffin's brother Alan a while back - he eventually committed to Illinois - and also have an offer out to his 2020 HS teammate R.J. Davis. SLU recruits his HS and AAU program (PSA Cardinals) hard, so it was only a matter of time before Griffin got a SLU offer. I really like his brother's game and think the younger Griffin is more athletic and has a chance to be a higher-level recruit. Offers: SLU, Creighton, Vanderbilt, Tennessee, SMU, Stephen F. Austin. Interest: Louisville, Kansas, Iowa State, Kentucky, Mizzou. Scouting Report: Harmon is a compact but extremely talented and explosive high-volume scoring PG. Many consider him to be the top prospect in the class of 2021 right now. He has elite athleticism, a ton of speed and quickness, handle the ball, get to the basket and finish through contact. His playmaking ability is top-notch. He needs to work on his mid-range and perimeter shooting. He just transferred from Adair County to Marshall County HS, his third HS already. He helped carry Bowling Green to a state title as an eighth grader, averaged over 30 PPG as a freshman at Adair County, and will head to Marshall County for his sophomore year. His dad has indicated that Zion intends to reclassify to the class of 2020, and expects a UK offer. He was the only freshman in the Calipari era to be invited to Big Blue Madness. -First off, I know he has a lot more interest and will fill that out over time. With Harmon, it's the opposite problem than what I have with other young recruits - it's a matter of so much information out there on him, as opposed to very little. He's already a Kentucky HS legend, but one with a lot of noise around him. Has his dad been shopping him around to high schools? Will he be eligible to play in the fall? Will he be eligible to play in college? Regardless, there's little question about his talent. If this kid ends up at SLU something went horribly wrong for him. Hate the way you think. The self loathing in STL is poisonous. Or something went incredibly right for SLU. Bestow unto me, a towel. New offer out to 2021 G Wesley Cardet, Jr. from Northeast HS in Florida. Will update with bio shortly. Offers: SLU, Dayton, Florida, South Florida, Florida International. Scouting Report: Cardet is a point guard with tremendous size, length, and athleticism for his age. He has great handles and passing ability, and sees the floor extremely well in both half court and transition. He gets to the rim with ease using his long stride and blowing by defenders and showing off his outstanding leaping ability to finish at the rim. He can shoot it from the perimeter. Because of his size, he's also an unusually good shot blocker for a young guard. He plays his AAU ball alongside fellow 6-5 2021 elite recruit Jordan Shorter with Team Breakdown on the UA Association circuit. Most schools have offered them as a duo so far. -I don't have a sense of who's interested in him yet - 2021 recruiting info is relatively sparse for now - but this kid is extremely talented, and I have to imagine he's going to be a top-50 ranked player before long. He looks like a 5-star on video to me. He's a 6-5 point guard who just finished his freshman year and he looks years older. He gets to the rim frighteningly easily and has a ton of highlight dunk videos available on Twitter and YouTube. He does it all, and he's that young. NBA-high ceiling here. I have to imagine we're just one of the early entrants into an extremely crowded pool. The fact that Ford is actively recruiting in the 2021 class already and that he is trying to get in on high level guys before everyone else makes me think that he is rather confident that we're going to be really good over the next few years, and that he will have a shot at these guys once we are. Another offer: A.J. Neal, a PG out of Orlando. Bio coming shortly. Offers: SLU, UMass, Florida State, Rutgers, Ole Miss, Central Florida, Tennessee Tech, Florida International, Stetson. Interest: Illinois, Texas, Oklahoma State, South Carolina, Tennessee, USC, Portland, Florida Atlantic, James Madison, Florida Gulf Coast, Arkansas-Little Rock. Scouting Report: Neal is a strong, smart, playmaking PG. He facilitates well and can knock down 3-pointers. He has great handles and a high-level passing ability, as he sees the floor well. Between his strength and handles, he bullies past defenders to get to the rim. He's a strong defender and fearless on both ends. He has been playing at the 17U level for his AAU team, Showtime Ballers, on the adidas Gauntlet circuit. His dad is an AAU coach. -Another high-level 2021 PG out of Florida. Unlike Cardet, he doesn't quite explode off video in a way that says "5-star" but he's a super solid, all-around impressive PG for that age level. He's got tons of offers and interest so far. He's been playing two years up in AAU this spring and summer. He plays for a loaded HS team who graduated some guards and he'll have a big role as a sophomore. He's a pretty complete player at this age and should be a solid BCS conference-level PG in college. These guys are young and I am not sure if we will be recruiting them (or if we already are), but a good story by Frank about DeSmet basketball sophomores to be Yaya Keita (6'9) and Aladji (6'10). Is Caleb Love any relation to Justin? I think I asked this a while back, but was told that he was not. His dad scored over 1,300 points at SLU in only 3 seasons. He ranks ninth all-time in scoring average. Is this the son of the same Nicholas Kern who signed with the Bills right before Romar left, but never played for us?